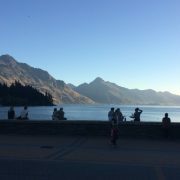 This month’s leading destination is Queenstown, a scenic town which sits on the crystal clear Lake Wakatipu surrounded by The Remarkables Mountain Range. As an internationally recognised destination, Queenstown is fast becoming a popular event location for many business and association groups. After hosting several conferences in Queenstown this year, we are delighted to share with you the best Queenstown has to offer for your next corporate event.